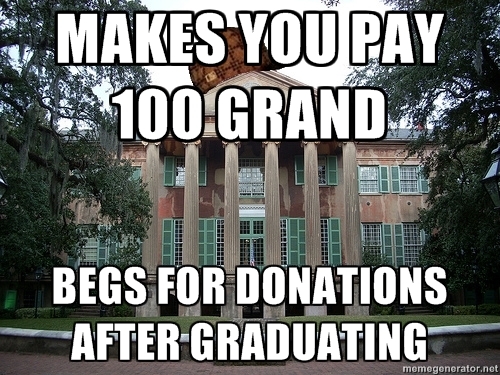 You might have to donate your kidneys to pay off your student loans, but that’s the only donation you’ll make. Nice picture! This made my day, but I think its ok to give if you have an extra. So why not donate? How much is a 100 grand? I am not familiar with grand. Thanks for sharing this.